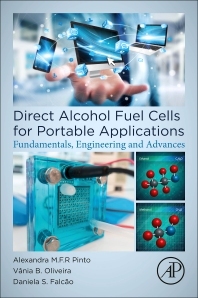 Direct Alcohol Fuel Cells for Portable Applications: Fundamentals, Engineering and Advances presents the fundamental concepts, technological advances and challenges in developing, modeling and deploying fuel cells and fuel cell systems for portable devices, including micro and mini fuel cells. The authors review the fundamental science of direct alcohol fuel cells, covering, in detail, thermodynamics, electrode kinetics and electrocatalysis of charge-transfer reactions, mass and heat transfer phenomena, and basic modeling aspects. In addition, the book examines other fuels in DAFCs, such as formic acid, ethylene glycol and glycerol, along with technological aspects and applications, including case studies and cost analysis. Researchers, engineering professionals, fuel cell developers, policymakers and senior graduate students will find this a valuable resource. The book’s comprehensive coverage of fundamentals is especially useful for graduate students, advanced undergraduate students and those new to the field. Alexandra M. F. R. Pinto obtained her PhD on Combustion in 1991, after which she focused her activities on the transport phenomena area with particular interest in Mass Transfer and Characterization of two-phase flow patterns using advanced optical techniques. She integrated the know-how acquired with other skills of her core formation in chemical engineering into energy applications, in particular direct methanol and ethanol fuel Cells, microbial fuel cells, PEM fuel cells and hydrogen generators and storage systems. Dr. Pinto develops her research activities in the CEFT–Transport Phenomena Research Centre since its foundation in 1997, where she is presently the leader of the Energy Group. She was principal investigator in nine national projects and participated in other 12 projects, including two with industry partners. She has also been a member of European Network FCTESTNET (Fuel Cell Testing and Standardisation Network). Currently, Dr. Pinto is a professor at Renewable Energies and Chemical Engineering Laboratory of the Chemical Engineering Department of Porto University (DEQ-FEUP), Portugal, where she is director of the Doctoral Program in Chemical and Biological Engineering. It is a very good book. The information about the fuel cell technology is very complete and easily understandable.